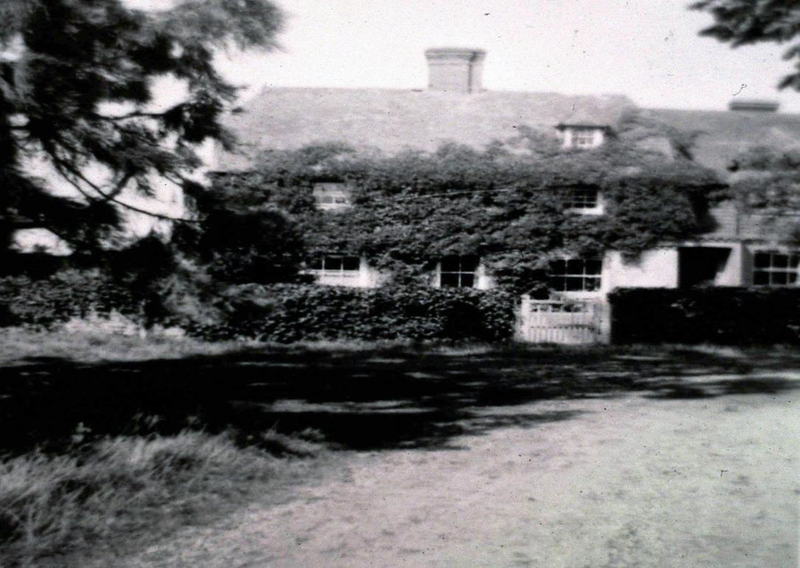 Sidney Giddings was born near Andover in 1883 but by 1891 (aged 8) was living with his parents, William and Mary and two sisters at “Baker’s Farm” (ie one of the two cottages at Baker’s Corner) and he would have attended Kingsley School. 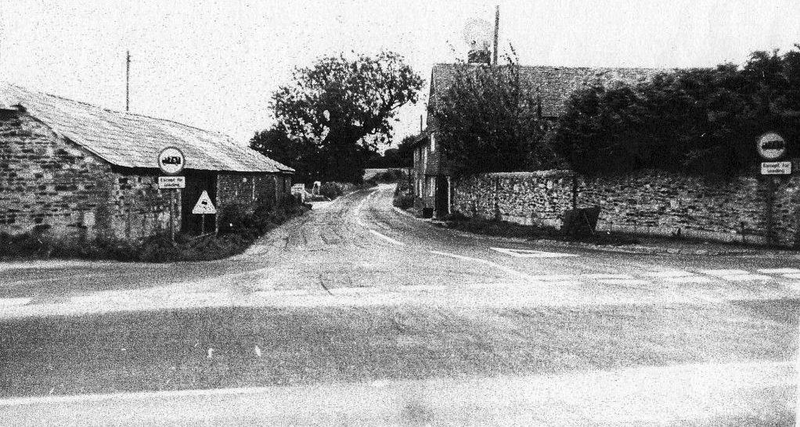 His father was a farm labourer and probably worked at Lode Farm (the cottages belonged to Lode). However by 1901, when he would have been 18, he had moved away and in the 1911 census he was recorded as a gardener at Crawley in Oxfordshire. Just after the outbreak of the war he married Kate Plumley from Kinson in Dorset in November 1914 and enlisted, for the duration of the war, at Banbury in December 1915 six months before his only child, Elsie May was born. At that time he was gardener at Bodicote near Banbury, Oxfordshire. By 17 June 1916 his Approving Officer at Cowley Barracks attested that “he is correct and properly filled up” and appointed him to the Oxford and Bucks. Light Infantry ( as Private no. 24261). His records show he was 6ft 0.25” tall, 140 lbs in weight and with a chest measurement of 37”. 1916 (as no.81712) and crossed to Boulogne February 1917. He must have contracted pneumonia or pleurisy later that year as, whilst he was stationed at the base depot, Camiers, he was sent to the nearby hospital at Camiers, (which was next to Le Touquet, south of Boulogne) on 18 February 1917 and he died of Lobar Pneumonia there the same day. 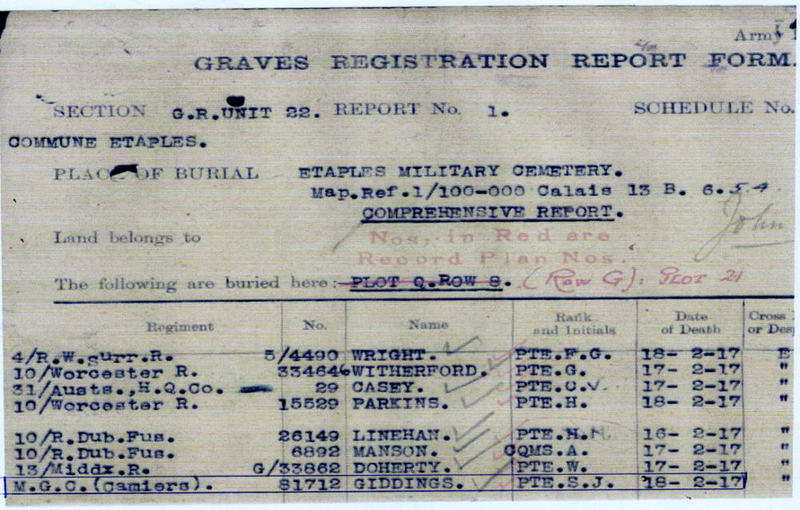 He was buried at Etaples Cemetary (part 3 UK, XXI G10A). By May 1917 his widow Kate was living in Winton, Bournemouth (perhaps to be near her own family) with her daughter Elsie May and acknowledges receiving Sidney’s personal effects. She was still there in May 1922 when she took receipt of his British War and Victory medals. Kate and her daughter received a pension of 18/9d per week from 27 August 1917. This is six months after her husband had died so she could well have suffered from severe financial hardship before then, like many war widows at that time. Sidney is also remembered on the War Memorial at Bodicote in Oxfordshire. His parents continued to live on at Baker’s Corner. A friend of Ena Mitchell’s mother, (Mrs Bayley), told her that she had “dressed a terrible face cancer on Mr Giddings’ face” and had nursed Mrs Giddings, whose will, after her death, was registered in 1936.